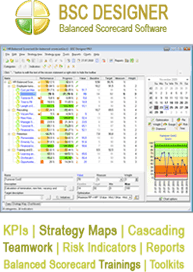 MeasureProductivity is a program designed to help measuring productivity. MeasureProductivity is a not a spy program, it will not tell how do other people work, it will not record your keystrokes; it is a self-examination program, which helps to measure and control your own productivity. There are some key concepts behind MeasureProductivity which makes it really useful. First, there are “Groups”. Think about groups as roles you play when work with your computer. There might be a role of webmaster or there might be the role of manager responsible for finances. When you work as a web-master you use some web-page editing software, some graphical tools and so on. With MeasureProductivity you can associate certain software tools with your role. Actually, one can associate any keyword with any role. For instance, if you have word “finance” or “money” in caption of any window, the program might consider this as a role of Finance Manager. You don’t need to specify all relationships before you use program, instead, first you can run the program for some time and only then assign any special associations between programs you use and roles you play.